Duke passed over the rainbow bridge this morning at the grand age of 13. He went peacefully in the backyard with us there to comfort him. 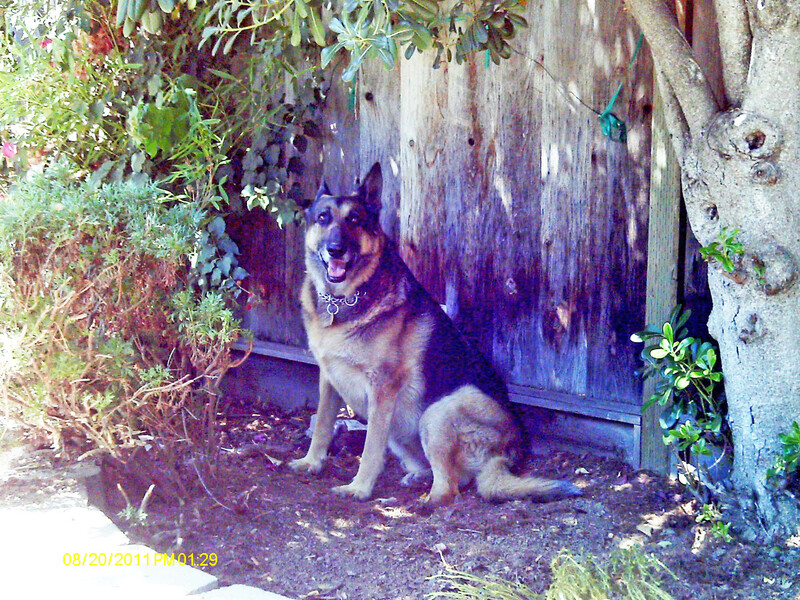 Duke’s favorite time of the day was early evening when he would sit in the front yard on ‘guard duty.’ Anyone who did not belong on his street was warned and many decided to take a different route rather than face the Wrath of Duke. 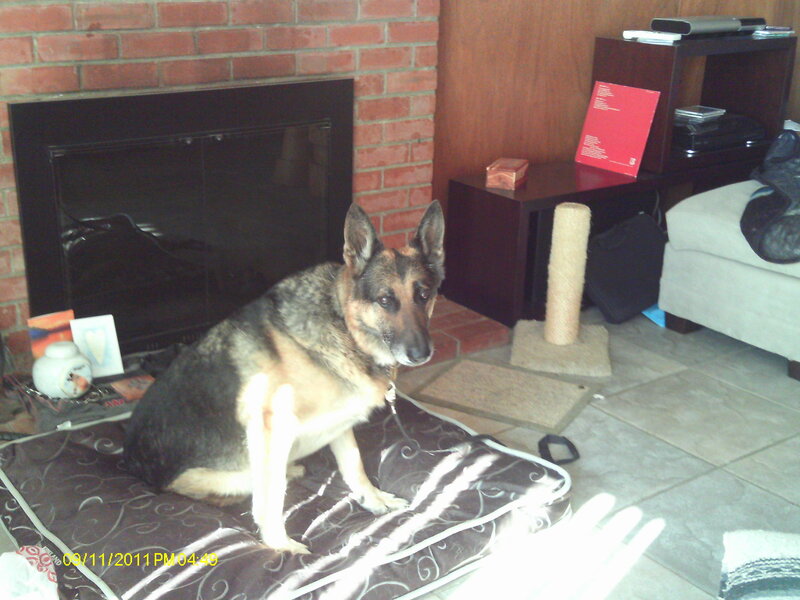 Little did they know that he was not able to chase them with his advanced Degenerative Myelopathy. 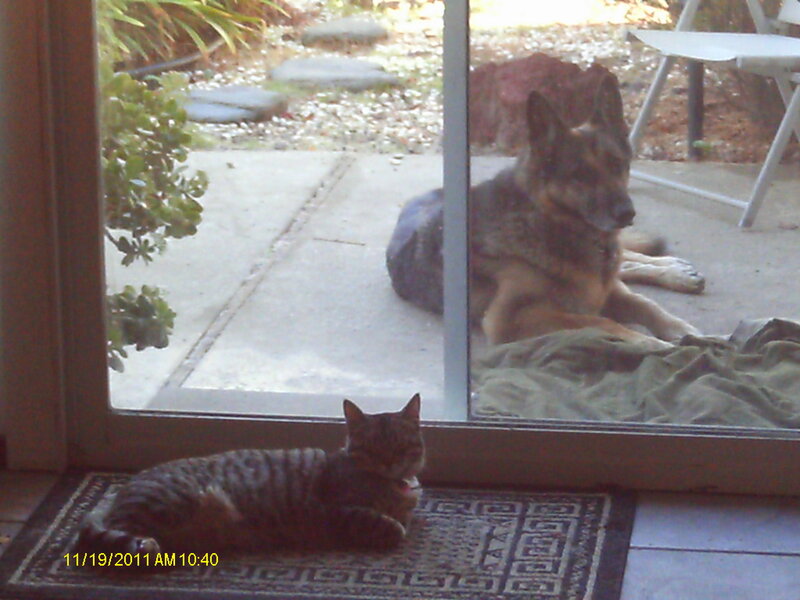 Despite his physical ailments he was very strong-hearted, loving and devoted. As sad as it was to let him go, we have to remind ourselves that he gained 2 extras years that he probably would not have had if the Thulani program did not exist. Goodbye Duke, you will be missed greatly. This entry was posted by admin on September 9, 2013 at 2:52 am, and is filed under Recent News. Follow any responses to this post through RSS 2.0. You can leave a response or trackback from your own site. I am sorry for your loss but happy for him as he died loved and cared for, no human or dog can ask for more. How lucky you and he were to have the time. He is sure a beautiful boy!!!! i was so sorry to just now read about Duke’s passing. He was such a sweet dog and he came so far with your care. It is a bittersweet passing when it involves a degenerative disease. Your patience and love for Duke were so evident. He’s running free now with LadyLove. thank you for caring for him.